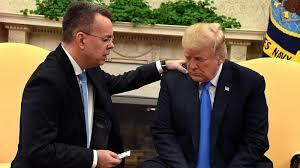 By Stefan J. Bos, Chief International Correspondent BosNewsLife WASHINGTON/ISTANBUL (BosNewsLife)-- After two years of detention, an American pastor was freed in Turkey and flown to the United States where he prayed with President Donald Trump who welcomed him at the White House. BANGKOK, THAILAND (BosNewsLife Columns)-- The impact of the massive wave of Christian refugees from the Middle East has been so overwhelming that, sadly, we too often forget that Christian refugee groups are suffering in other parts of the world. 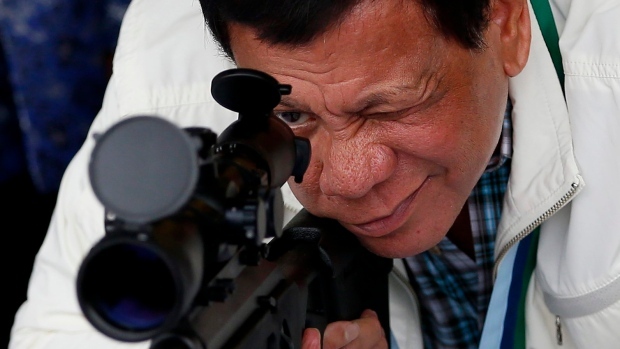 MANILA, PHILIPPINES (BosNewsLife)-- Christian missionaries in the Philippines say "trigger-happy" President Rodrigo Duterte is enabling them to "spread the Gospel" and help drugs addicts and victims of Islamic terrorism. "Hundreds of thousands of users and sellers of illicit drugs have surrendered to avoid being gunned down by police under President Duterte's lethal crack-down," noted the Christian Aid Mission (CAM) group. CAIRO, EGYPT (BosNewsLife)-- Christian aid workers say they are supporting thousands of Christian families in Egypt where many still struggle with mental and physical pain after more than 40 people died and countless others were injured in this year's deadly Palm Sunday attack in the Nile Delta area. ISLAMABAD, PAKISTAN (BosNewsLife)-- The militant Islamic State group claimed responsibility Sunday, December 18, for the suicide attack that rocked a packed evangelical church in Pakistan's city of Quetta, killing nine people and injuring about 60 others, including women and children.